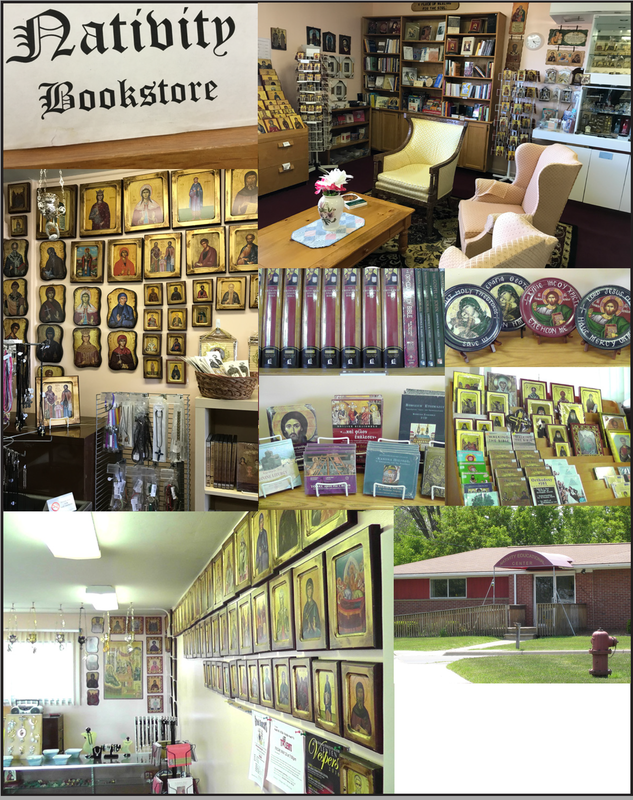 The Nativity bookstore tries to fill the needs of parishioners and neighbors by stocking and ordering Icons, Liturgical items, Orthodox greeting cards, items for the home altar, and, of course, books. If there is anything you need and cannot find in our bookstore, you can look through our many catalogues available. Home altars are a necessity in every Orthodox home because we are Orthodox all week, not just one day each week. The bookstore stocks many home altar items for you. Home altar kits make excellent graduation presents for students, wedding gifts for the newlywed's new home, adult baptism or house-warming gifts. Stefanothiki or wedding crown cases are are also available as gifts for newlyweds. The bookstore orders icons which are assembled by Mr. Costa Kassapis. 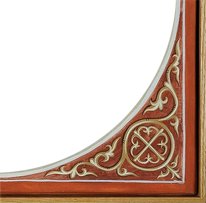 The icons are mounted on wood painted in a dark red color and come in four sizes, XS ($3), S ($6), M ($11) and L ($13). Mr. Kassapis guarantees the icons and offers wide variety icons in stock. 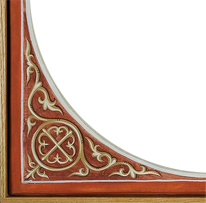 Icons of our Lord, Festal Icons, Icons of the Theotokos, and various Saints are available. If we do not carry a particular icon, we may be able to order it from one of several monasteries around the world. A small variety of buttons of saints, keychains and jewelry are available. The bookstore carries a variety of Wedding, Christmas, Pascha, and Baptismal cards in Greek and in a variety of styles and sizes. They are located in the 3-ring binders on the display and are only a dollar each. Much less than Hallmark and American Greeting stores! Children's books - Occasionally seasonal offerings are available. Orthodox Church - History and structure of the Orthodox church. Orthodox Beliefs - The Orthodox Way, books on sacraments, prayers and others. Orthodox Fathers - Patristic writings in hardcover and paperback. Local Authors - Gus Mollasis and Fr. Steven Anthony have written good books! Now you can have a customized wedding program personalized and customized to suit your wedding by the bookstore Manager, Jerry. They are fantastic keepsakes for your wedding guests and all in the wedding party. Booklets come in a variety of paper, binding choices and formats. Contact Jerry regarding booklets at takisfam@yahoo.com .